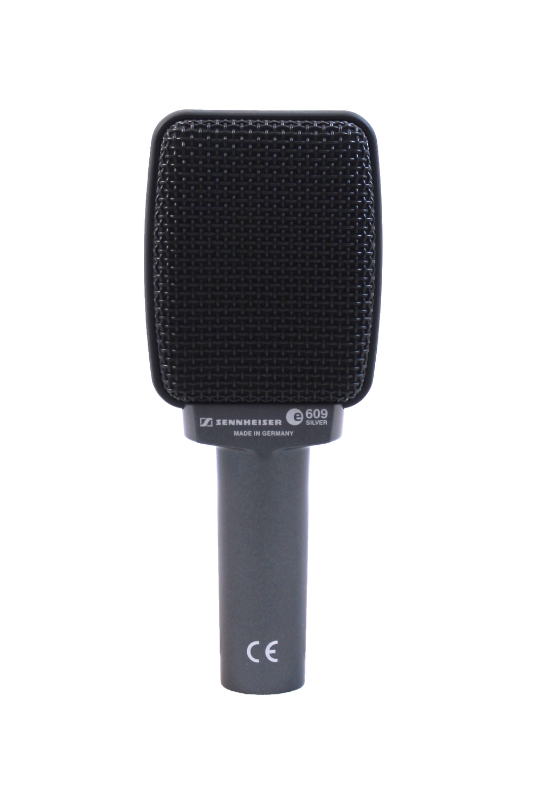 The Sennheiser e609 Silver is based on the legendary MD 409 microphone. Able to withstand high SPLs without distorting, the e609 Silver's flat-profile capsule facilitates extremely close miking of guitar cabinets and is also suitable for drum miking, particularly toms. 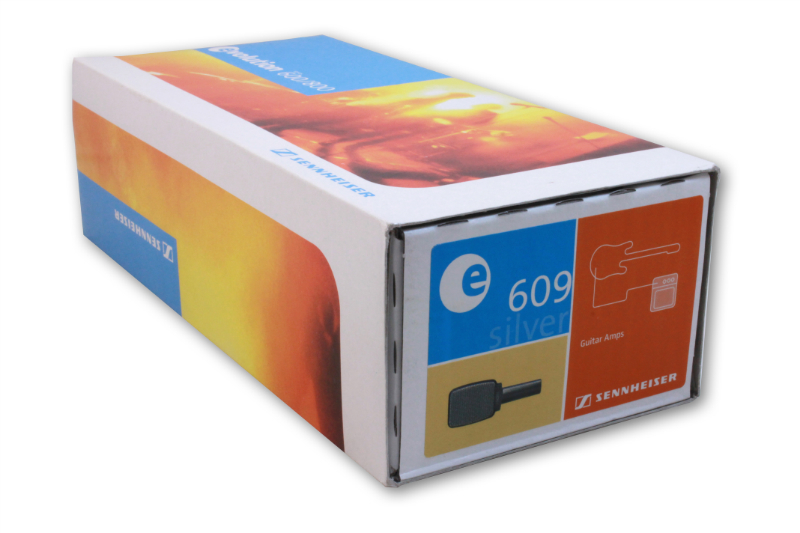 The e609 Silver's super-cardioid design improves isolation in live sound reinforcement and recording applications while its increased output and wider frequency response improves performance.